The Not’Art Apart Hotel Syracuse properties are modern and exclusive and consist of different properties and types of accommodation, but each with the unmistakable Not’Art quality and atmosphere. The Not’Art Apart Hotel is a complex of exclusive self-catering apartments, villas and hotel suites that ooze stylish opulence and chic modernity. Take a look at our Photo Gallery to see for yourself how gorgeous our properties are. Once satisfied make sure you use our booking system to reserve your place before they’re snapped up!! The Villa Annexe is also of comprehensive and comparable quality and style, fully furnished with the same type of amenities (without the Jacuzzi) and most suitable for 2 people. These fantastic properties are to be found in the marine reserve of Plemmiro, Syracuse on the Maddlena peninsula. Stylish and modern, the buildings were constructed in a Mediterranean style and furnished with top quality chic furnishings, these villas are the perfect havens for those who crave some luxurious privacy but with a world of beauty, restaurants, shops and bars just a short walk away. The villa enjoys a large terrace perfect for relaxing and enjoying refreshment with the property surrounded by gentle trees and flowering hedges. Suitable for barbeques and outside lunches or dinners, the terrace is a perfect place to relax and soak up the Sicilian atmosphere. Perhaps the most popular feature of this area is the 4 person Jacuzzi hot tub with the ability to adjust the water temperature. Inside the sea villa, there is a fully fitted kitchen, beautiful bathroom with shower, living room with sofa and LCD TV, beautiful tiled floors, two bedrooms – one double bed and one twin bed, and with a modern vibrant feel to it all. 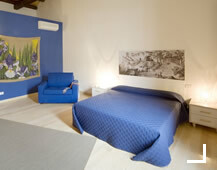 The property also enjoys high speed Wi-Fi internet access. 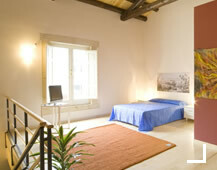 Located in the stunning Sicilian city of Syracuse and on the island of Ortygia, the Not’Art Apart Hotel properties offer breath-taking views and a unique mix of hotel type service but providing the autonomy of self-sufficient properties that enable the guest to choose the holiday experience that best suits their needs. Situated in a historic building built in 1892 by architect Carlo Sada, the Palazzo Giaraca of the Not’Art Apart Hotel group of properties is located on the seafront at Ortygia Syracuse just a few steps from the picturesque marina, stunning cathedral and Arethusa Spring. Standard – spacious and well-lit rooms with large windows, private bathroom with shower, air conditioning, LCD TV, high speed Wi-Fi internet access, telephone, mini bar and luggage racks. Double Superior – looking out on the interior courtyard or the neighbouring ancient street, these rooms have the choice of single or double beds, high wooden ceilings with exposed beams, private bathrooms with either a shower or a bath, air conditioning, LCD TV, Wi-Fi, telephone, mini bar and luggage racks. Double Superior with Sea Views – as suggested by the name, these rooms enjoy a gorgeous view of the sea port and marina with private bathrooms with bath tub, air conditioning, LCD TV, Wi-Fi, telephone, mini bar, luggage racks and personalised with elegant accessories. Junior Suites – spacious rooms tastefully furnished with antique furniture that adds a touch of luxury and elegance but also with private bathroom with deluxe bath tub, mini bar, air conditioning, LCD TV, Wi-Fi, and telephone. The suite is well lit through wooden French windows and the suites also enjoy a gorgeous balcony which overlooks the historic street and vista below. The perfect place to relax and enjoy a cool glass of wine. Positioned in the airy and historic square of San Giuseppe on the ancient island of Ortygia, Syracuse, the Not’Art Apart Hotel exclusive suites enjoy a great symbiosis of the suite guests and hotel staff. The suites occupy two floors per suite and are named after different fruit to express their vibrant, energising, soft and fresh atmosphere - ‘Orange’, ‘Prickly Pear’, ‘Peach’, ‘Kiwi’, ‘Lemon’, and ‘Cherry’. These 6 suites are elegantly decorated with art, flowers, modern wooden furnishings, stylish fabrics, parquet wooden floors, exposed beams and wooden ceilings, sofa, breakfast table, fully fitted kitchen, private bathroom with shower, LCD TV, high speed Wi-Fi internet access and air conditioning.